Improved selection of the true wild Rocket. 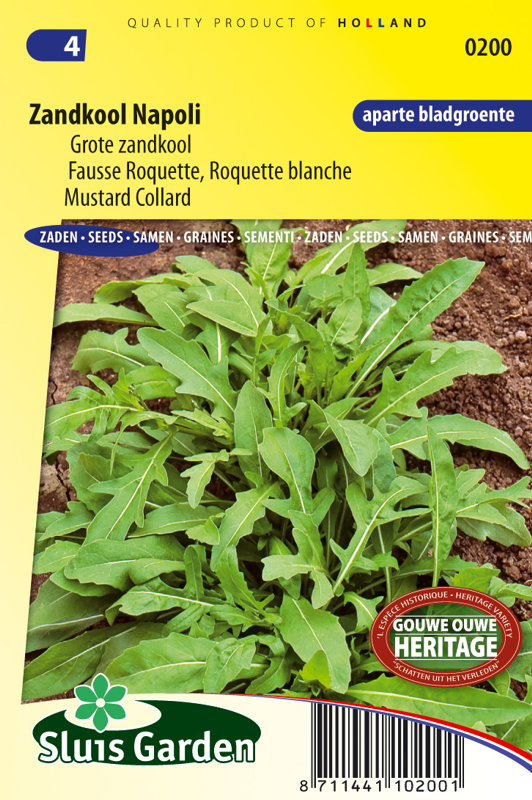 The leaves of the Mustard Collard are used in salads, cooked as vegetable or baked in pizzas. The leaves are rich in vitamin C and iron. 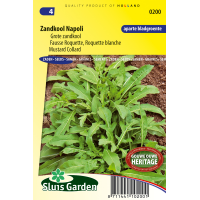 Grows a little slower than Rucola, the leaf is also somewhat smaller, but the taste is stronger. Sow in the garden in rows. Germinates quickly. Sow at intervals to ensure regular fresh harvests.